The Year Without Pants is the story of Scott managing his team working remotely most of the time (it seems that working without pants is a kind of a funny way to say working remote), learning to use new types of online collaboration tools in the process while never using email. A book to put in perspective with another essay published on the topic of remote work with 37Signals latest publication : Remote. There are three main reasons why Scott Berkun is one of this blog favorite business writers : he is a thinker, a doer and a writer. First he is a very smart guy with a great sense of observation and a wonderful ability to make sense out of what is happening before his eyes. Second he is utterly pragmatic, being able to try many solutions to solve issues, connecting his actions with his thinking. Last but not least : he is a genuine writer : he could write about the phone directory of the city he lives in (Seattle), the read would still be a treat. 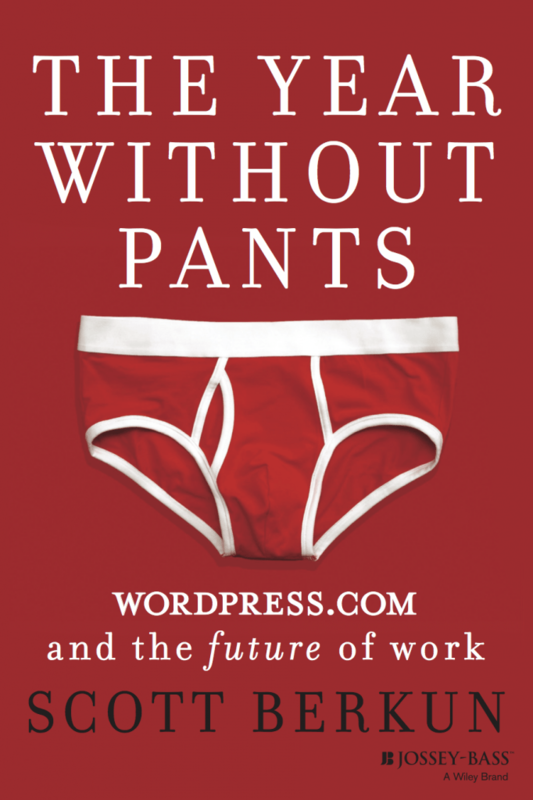 In The Year Without Pants, he tells the story of the time he spent working as a manager for Automattic (the company behind WordPress.com) and this probably is the essay where these three abilities combined best. Check out #hypertextual other articles about Scott work : review of Myths of Innovation, Confessions of a public speaker [FR], and the interview he was kind enough to give upon the publication of Mindfire, a wonderful piece about professional ethics in action. So here is the pitch : tired of giving advises from the comfortable perspective of a business consultant and author, Scott is interested in discovering how 21st century disruptive and successful companies work. So he decided it was time to go back to real work (something he mentioned in his #hypertextual interview) and validate his management ability while joining such a company as a manager. The writing proposition is from his perspective and that turns the book into some kind of memories from the Future of Work. He got the offer directly from Automattic founder Matt Mullenweg : the challenge is quite an exciting one : to be one of the first managers of a company (who lived without until then) who runs about 20% of the page views on the worldwide web. Let’s get the gory details of the tools out of the way because as you guess it, this is just a small part of the issue. Automattic uses P2 blog for teams and projects, IRC for chatroom, Skype for visio-conferences, one to one chats. 37Signals eat their own dog food using Bandcamp (Project Management collaborative tool), Campfire (group chat), KnowYourCompany, and Highrise (CRM), They also use WebEx for screen sharing, Skype and iChat. … is actually how Jason Fried and David Heinemeier Hansson (from 37Signals) qualify their own book (Remote) around the same question : how to work from distance with your colleagues and team members ? Interesting to see how both books complement each other. Remote is more a collection of short articles, best practices and how-to guide given by insiders, i.e people who have been practicing remote work for a long time. Short, concise, straight-forward, Remote probably is more actionable. On the other hand, Scott’s essay is far more a story about discovering an organization culture and adapting to it. And a really enjoyable one : the narratives around the collaboration with his teams, the different retreats they have in different cities, how the culture develops are probably the best pieces you could ever read about the birth of a team culture. Not to mention that it is dead cool to read the behind the scene stories about the development of features I’ve been using everyday. Example : the message you get in the dedicated screen after posting a new post. Starting a new job make you a paratrooper. You jump out of the safe, comfortable airplane of you past experience to land in a place you have seen only rough maps of – maps made by people who most want you to jump. Maps happier and neater than the landscapes they represent. Knowing and doing are far apart. 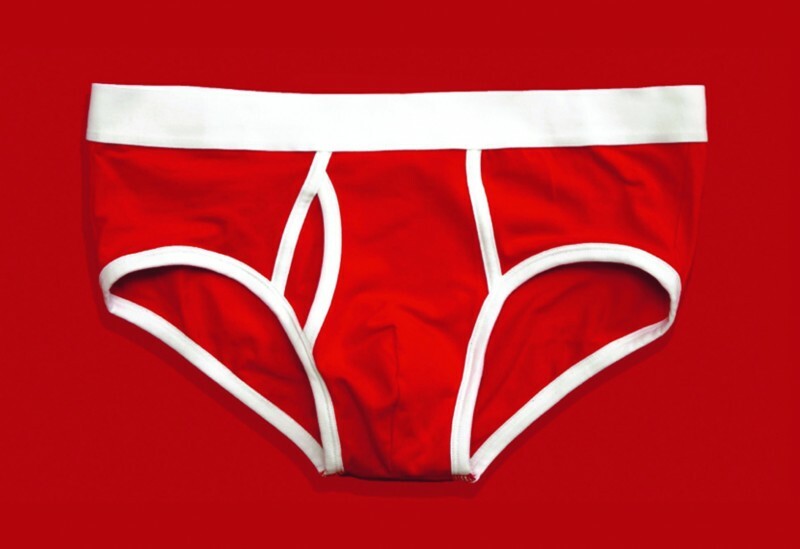 What may seem at first a bit messy and contradictory in Year Without Pants should rather be seen by the author as a respect of ambiguity of specific context where you should rather try and adapt than adopt tricks that have worked somewhere else. A great fallacy born from the failure to study culture is the assumption that you can take a practice from one culture and simply jam it into another and expect similar results. Rarely do the consultants championing and profiting from these ideas disclose how superficial the results will be unless they’re placed in a culture healthy enough to support them. “Every discussion, decision, bug fix and feature idea was listed out in the open”. Transparency planted an important seed in the culture. People behaved knowing tat their actions would be visible to future contributors. Transparency / Meritocracy / Longevity (wordpress was born from a failed project). Unlike proclamations about culture that are easy to put in speeches, email it’s the small decisions that define a culture. It also is heavily centered on results which ends up in making things much simpler. Hiring process is an example : you just do a project for the company on your spare time – if you can’t manage doing it you just don’t have the passion to join the company. 37Signals has the same approach though they pay for it which sounds more ethical for me. Every employee spend a month there while checking the results. Making everyone work in support forces everyone to take customers seriously which we should since they pay our salaries. a “fantastic” idea. Check out this blog posts (part 2, part 1) and pictures of Automattic new offices from Stephen McLeod, an insider, at AllMyFriendsAreJpegs. Company retreat : crushing boredom that plagues these events is a disease born of good intentions gone wrong. There is no actual work being done. Instead it’s all metawork or discussions about future work. It’s a sea of abstraction. Retreat forgets the most important thing that location cannot change : company culture. No matter where they go, they take dozens of forgotten assumptions about how work is done along with them. Here’s why famous experts who write books never go back to regular jobs : regular jobs are hard. anyone who is an expert, guru, executive or coach has likely lost any real sense of what real work is. we assume that because we can give advice on something we are superior to those who take the advice, but that’s not true. Another key difference between both books is that even though Scott acknowledges the great culture of Automattic, the benefits of these tools and the great results the teams can achieve as a result, we can still perceive that he still is not fully convinced. He still sees one-on-one as one of the most important tool for managers and such environment prevents him from doing it as often as he would. While Remote may be perceived as patronizing about how great remote work is the way 37Signals does is, Scott still have some questions that remain unanswered at the end of the book. So does Future of Work for everyone ? As William Gibson famous quote hints, it seems that it is not. Working in such environment requires excellent writing skills, both books agree on that. The way Scott communicates on the very first day via instant messaging shows how exceptional his writing skills are to adapt to a new culture. And does this work solve all business problem ? The problem he faced trying to bringing radical new ideas in a culture driven by regular incremental change also provides clues regarding this question. This is a great point raised by Pfeiffer and Sutton in the Knowing Doing Gap : building a company on radically different principles does not necessarily mean that changes can be easily carried out in that very culture. This is where Scott’s wisdom stands : he does not wax lyrical about the company, he gives it an honest yet admiring stance, recognizing that this way of working may not suit him and that’s OK. This is a major difference with the regular evangelists of such tools and approach in which we may include 37Signals and this blog.